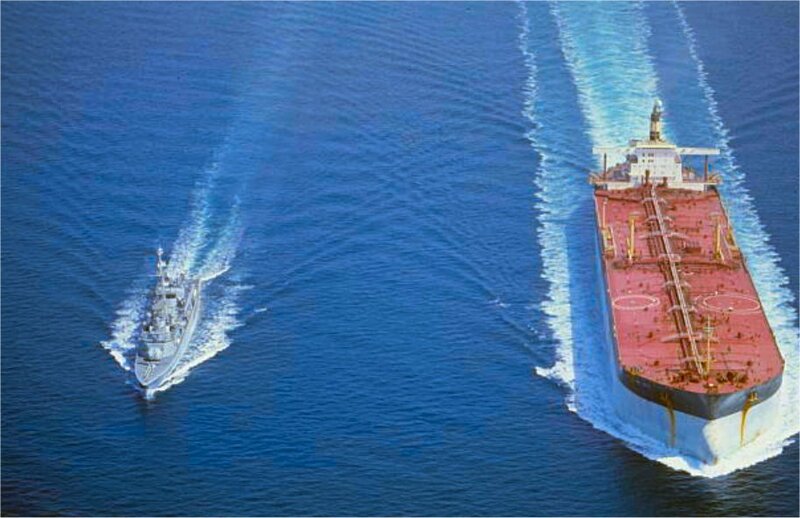 The "Dupleix", corvette of the French Navy, escorting the tanker "Esso-Languedoc (2)" in the Persian Gulf, during the Iran-Iraq war. In October, 1987. 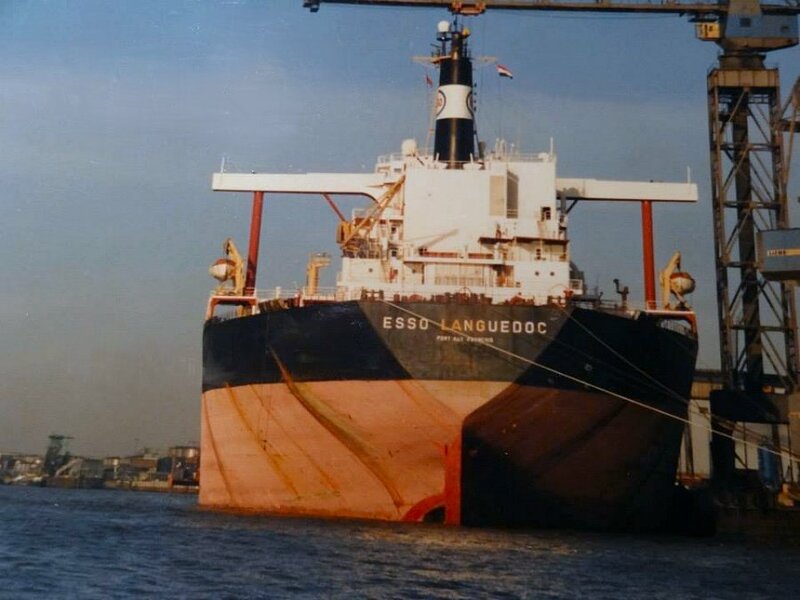 "Esso Languedoc (2)" was build in 1973, became "Languedoc" in 1995 and was scrapped in1996. 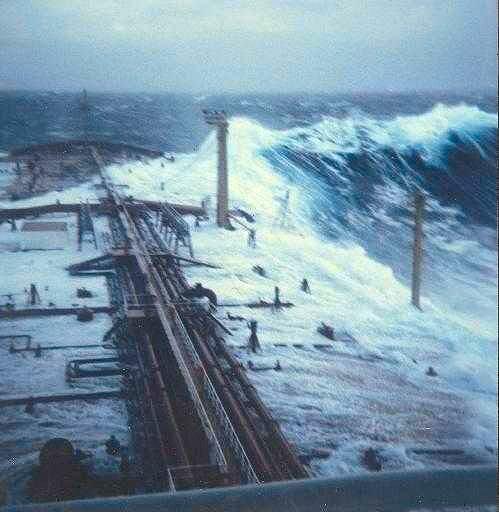 "Esso Languedoc (2)" hit by a "Roque" wave, photo was taken by Philippe Lijour. 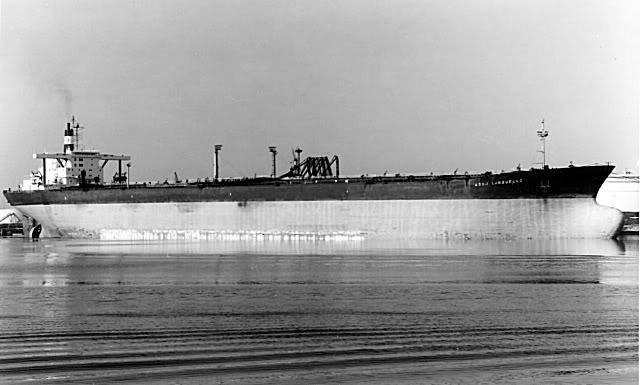 "Esso Languedoc (2)", seen here as "Languedoc", photographed from the "Mexico", the former "Esso Mexico". 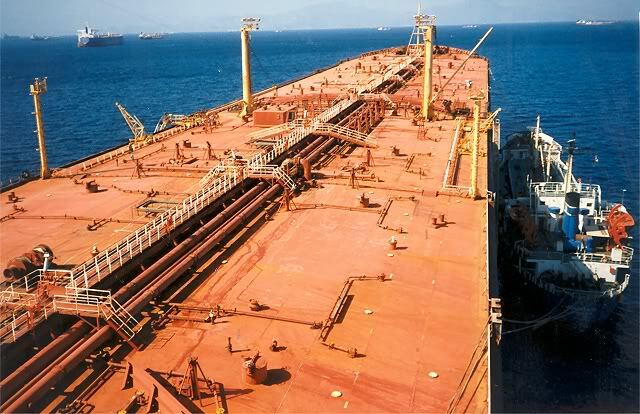 Singapore for buyers to come and look at the ship and continued to the Gulf. She went to Bangladesh very soon after. 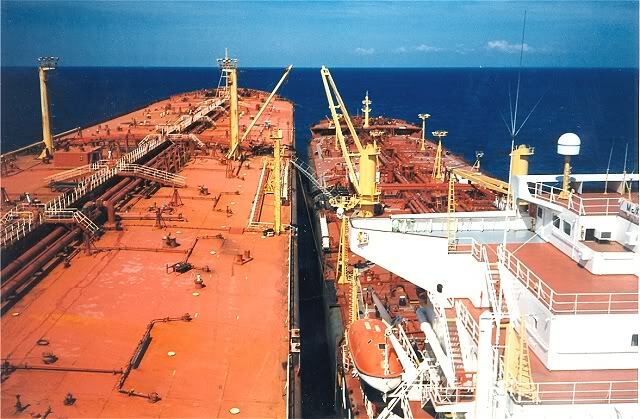 "Languedoc", side by side, with the "Mexico", the former "Esso Mexico". Joined together in Sriracha (Thailand). 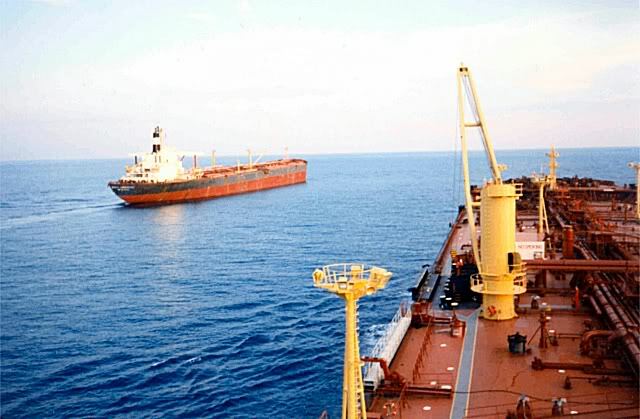 "Languedoc", off loading bunker oil to the "Mountain", in Singapore. This man is Daniel Grimault, the Senior Superintendent Engineer for the French Esso. 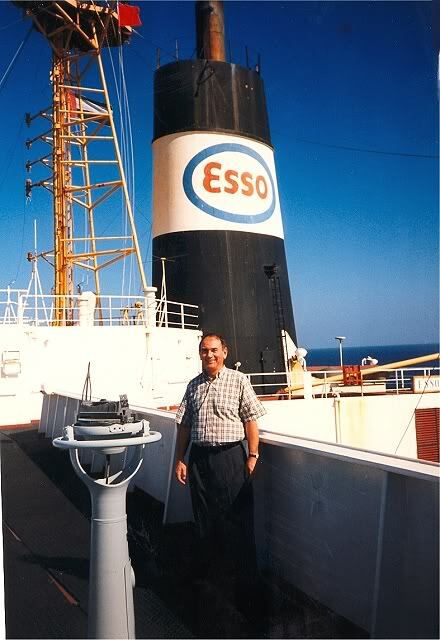 See also the original Esso funnel, is still there. "Esso Languedoc (2)", at the yard. 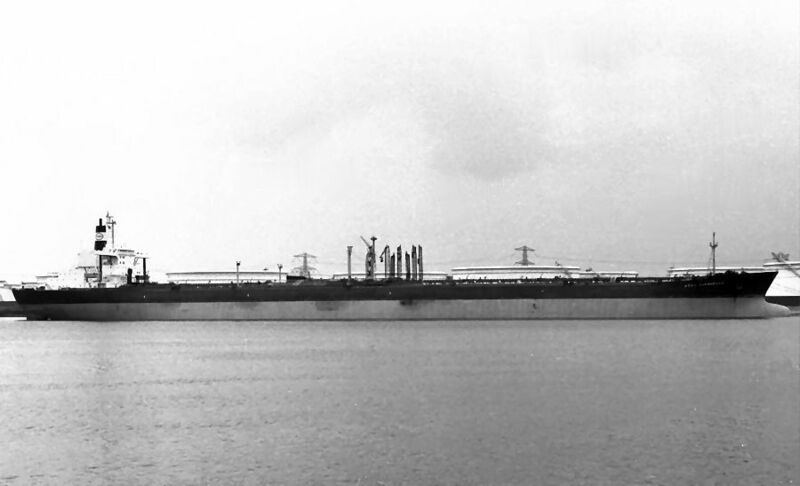 The Miramar Ship Index for "ESSO LANGUEDOC"
ESSO LANGUEDOC (2) - LANGUEDOC (1974-1996) F.N.L.X. 126186 g. 99479 n. 256726 d.; 347.81oa-329.22pp x 51.80 x 25.61 meters (19.95 draught). Two General Electric steam turbines of 32000 SHP, Dr geared to screw shaft by the shipbuilder. 15.75 knots. 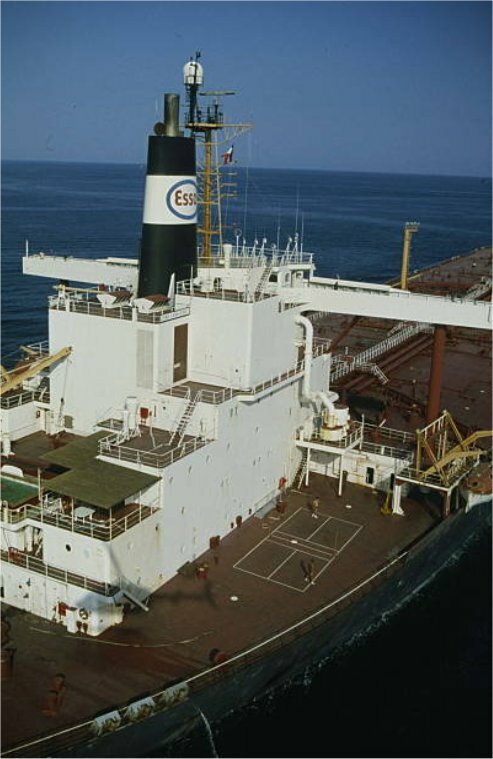 11.07.1973 : launched and 1973 : completed by A.G. Weser (1387), Bremen as ESSO LANGUEDOC (2) for Esso-Tankers Inc., Liberia. 1974 : purchased by Esso-Standard SAF, Le Havre. 1992 : transferred to Kerguelen registry (TAAF flag}. 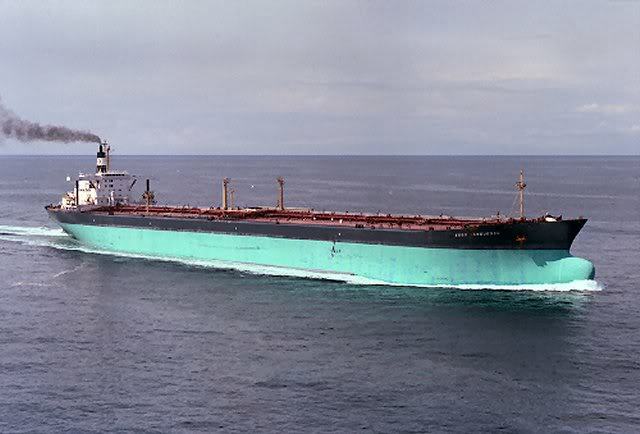 07.1996 : sold (37,40 MF) to Bangladesh ship-breakers (arrived at Chittagong 03.08.1996). 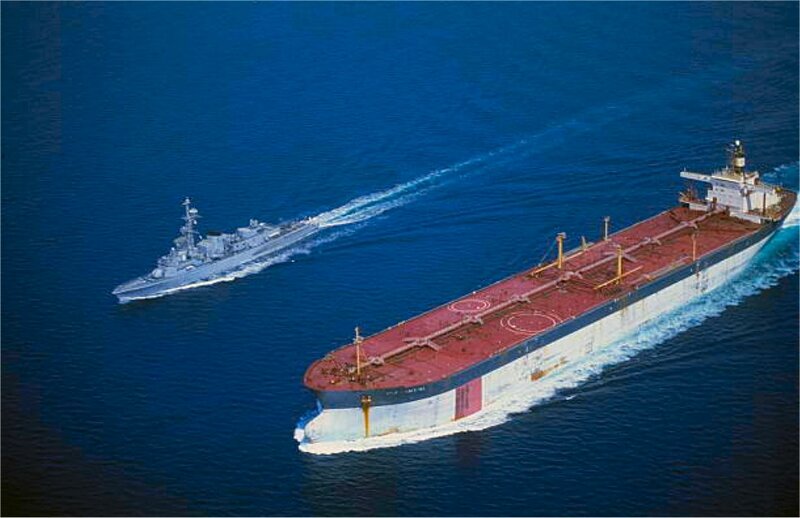 • Sistership : ESSO GASCOGNE (2).